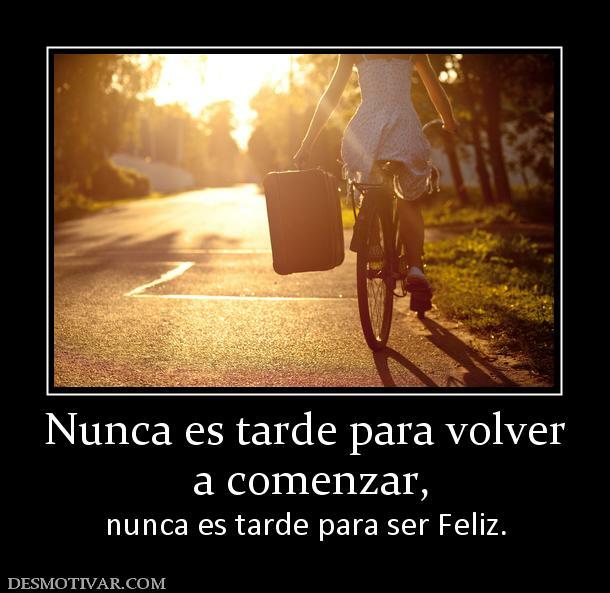 A feature of the site that I really like is the desmotivaciones por temas. I can easily click on the category that is of most interest to me and immediately be taken to appropriate media. WARNING: some of the posters may not be high school appropriate. I do not send students to the site. I put their media on my wikispace to use for my purposes. Additionally, since anyone is encouraged to create and upload their creations, their are definitely errors on the posters (which can be a fun thing to do, too….spot the mistake). Wiffiti, a fun tool for interaction! This was the week that teachers in my district went back to school and I’ve been working on getting my wikispace set up for classes that begin on Monday. One of the new tools that I am eager to try out this year is Wiffiti. The description on their site reads: Wiffiti publishes real time messages to screens in thousands of locations from jumbotrons to jukeboxes, bars to bowling alleys and cafes to colleges. 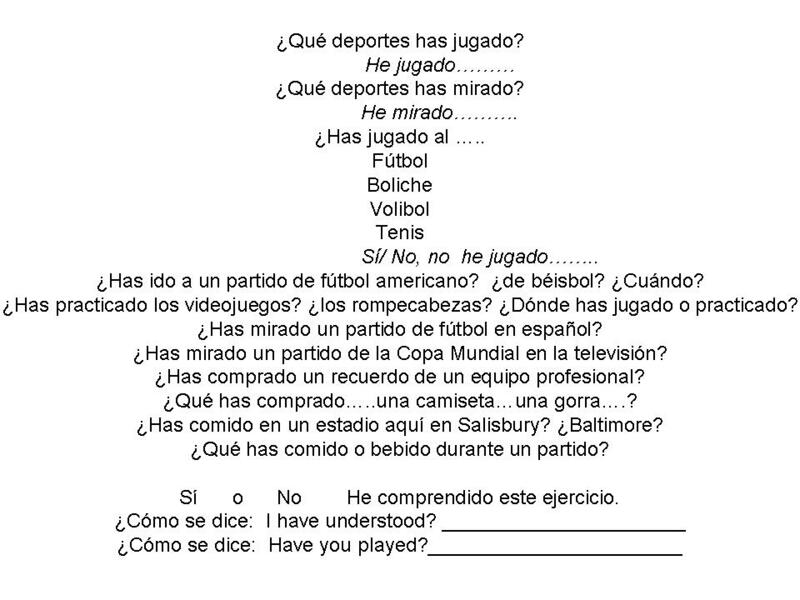 This past week, several world language teachers in my department have been helping me experiment with Wiffiti. I really like the fact that the text messages show up quickly on the screen, and that older messages fade back as newer messages come in. It certainly is an attention getter! How am I going to use this in my classes? Well, every student that I know has a cellphone. 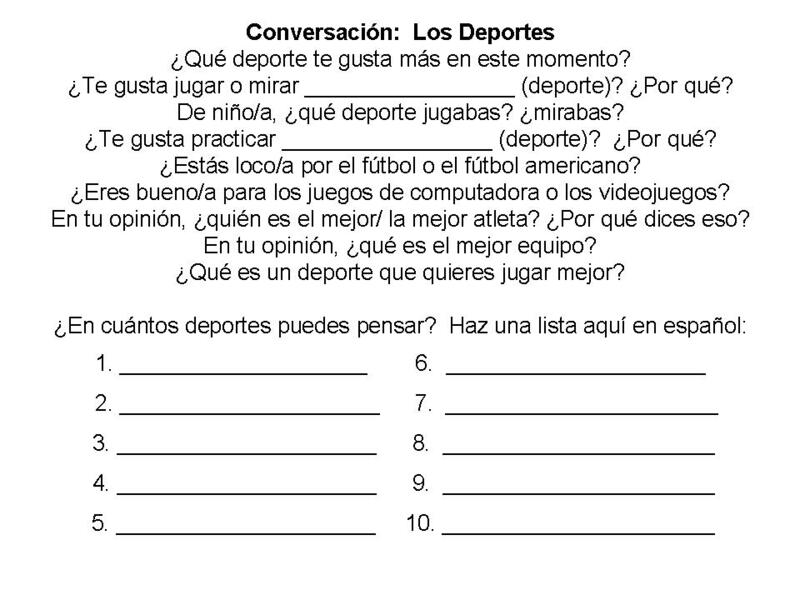 Initially I am going to post a question and have them text their answer, probably as they enter class. When you text a response to the number on the screen, Wiffiti sends you a return text that gives you a user name. Therefore, other students will not know who has posted what. 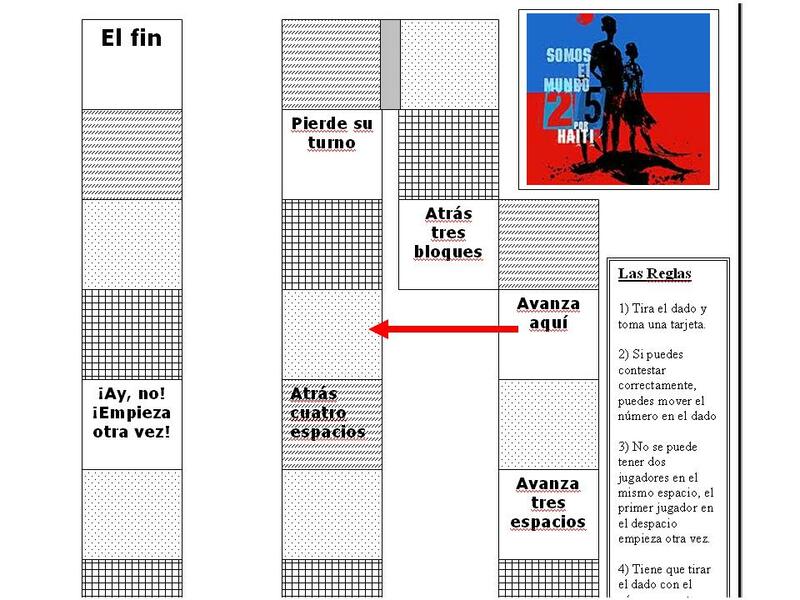 You can see the screen that I’ve created for my Spanish IV students here. I think I may use it for very brief homework assignments, too. Additionally, I like the fact that I am able to embed the screen on my wiki and keep the content relatively private. However, until I actually get to see how it works, and how the students respond to it, I can’t say a lot….but I have high hopes. I’m also very interested in using Poll everywhere for a bit more structured feedback. After I’ve experimented with it, I may write a post about it. 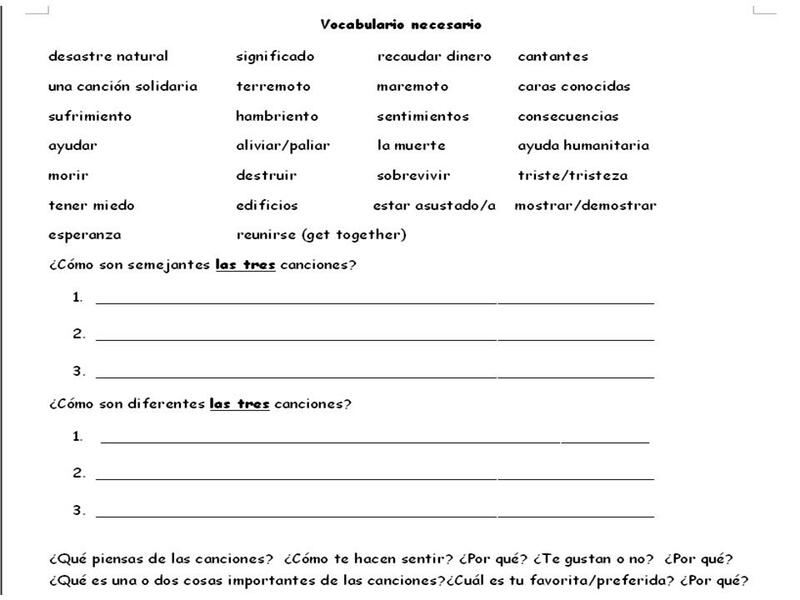 Right now I have an open ended response screen set up for my Spanish III classes here. To have a bit of fun, I decided to create one for experimental purposes here. Hopefully some of you will respond with a message! Click here to see the sample screen for this blog. Food. We all teach about it, no matter the language or the level and all of us have developed many activities. 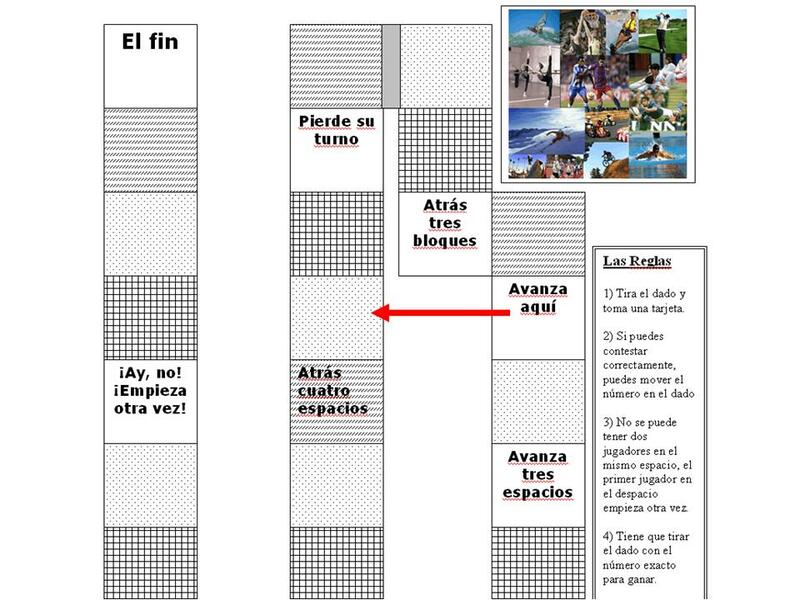 In this post I will share some activities and ideas that perhaps will be new, some are specifically for Spanish but some are general for any language. As always, I would love to hear about your ideas and activities. 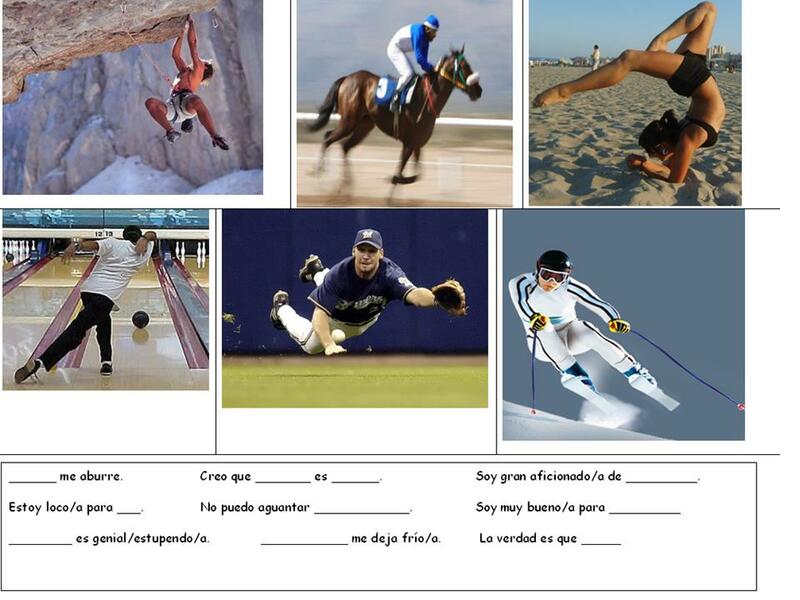 Since I teach Spanish III and IV, some of the activities will be too advanced for I and II, but could certainly be adapted. ¿Qué es tu bebida favorita? 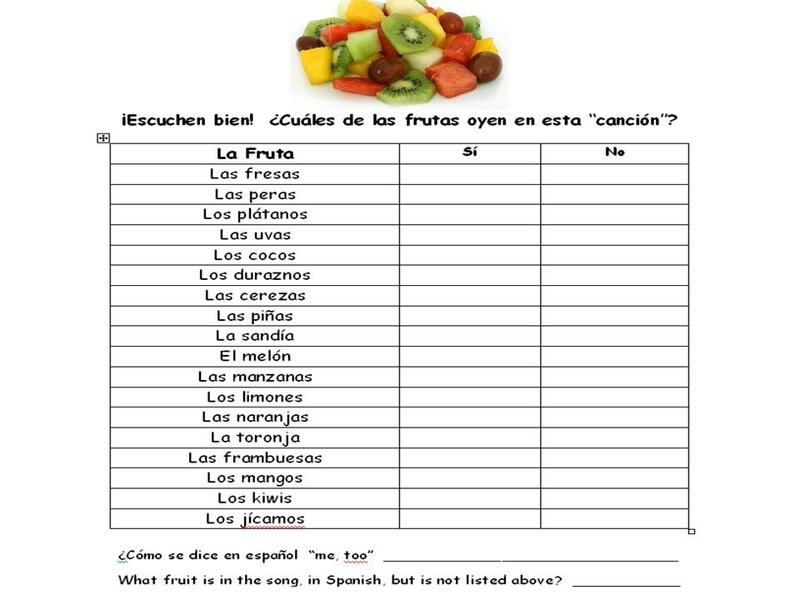 ¿Qué es tu fruta preferida? 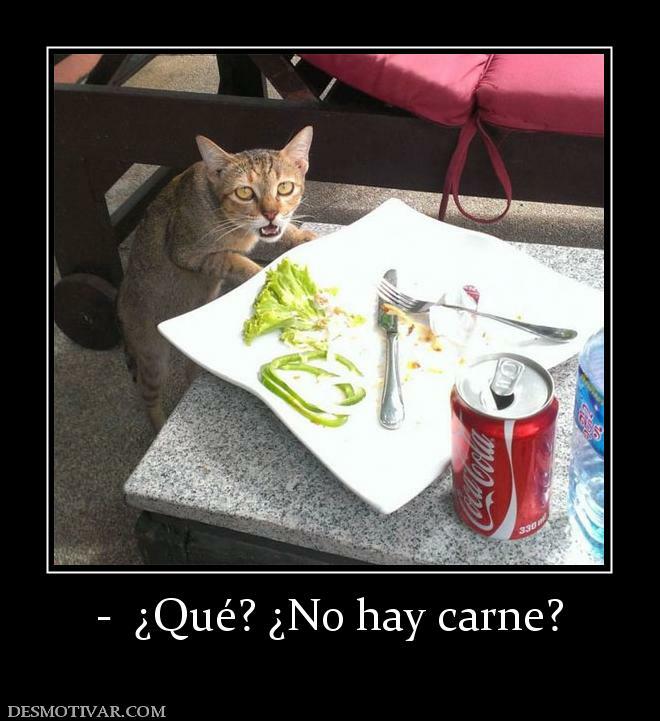 ¿A qué hora comes la cena? ¿Qué te gusta poner en una hamburguesa? 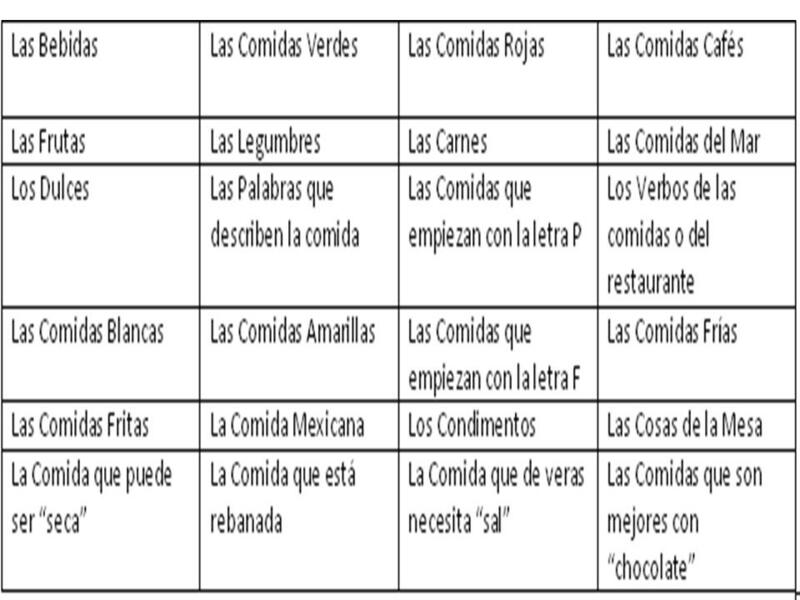 ¿Qué es tu comida favorita? 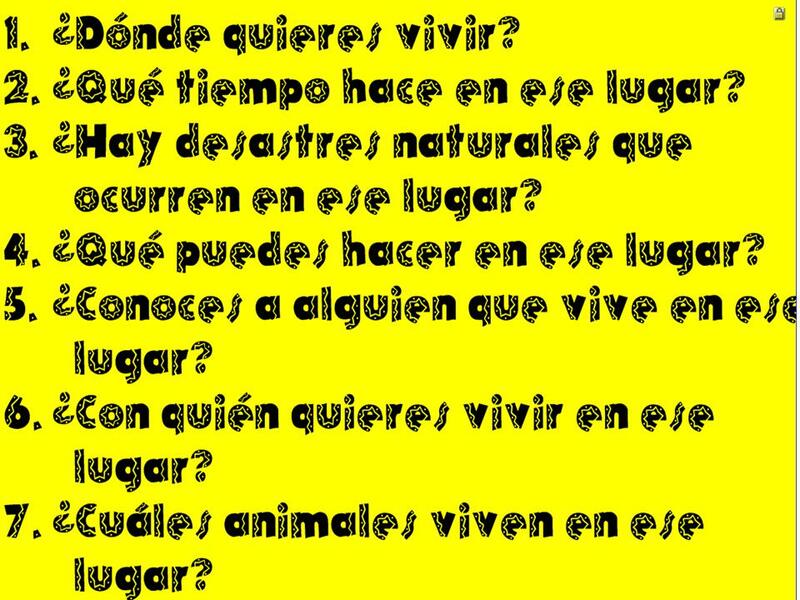 ¿Qué es tu verdura preferida? ¿Qué te gusta poner en tu pizza? ¿A qué hora comes el desayuno? 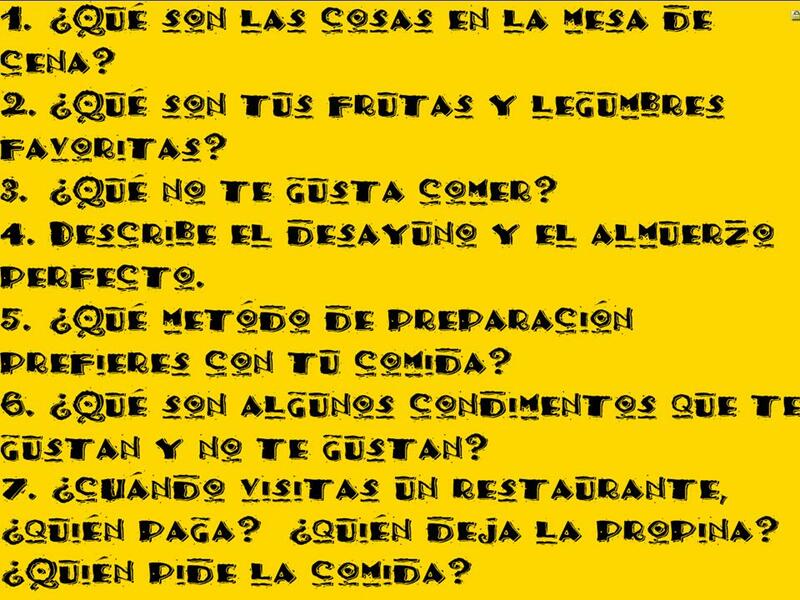 ¿Cuándo comes en un restaurante? 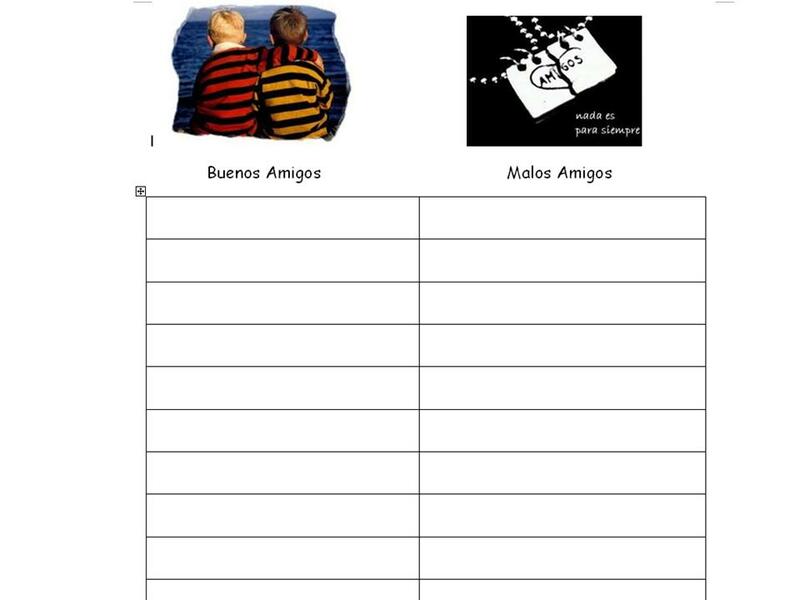 Small groups, give students a picture of an open refrigerator and markers/pencils. Give them one minute to draw food in the refrigerator. 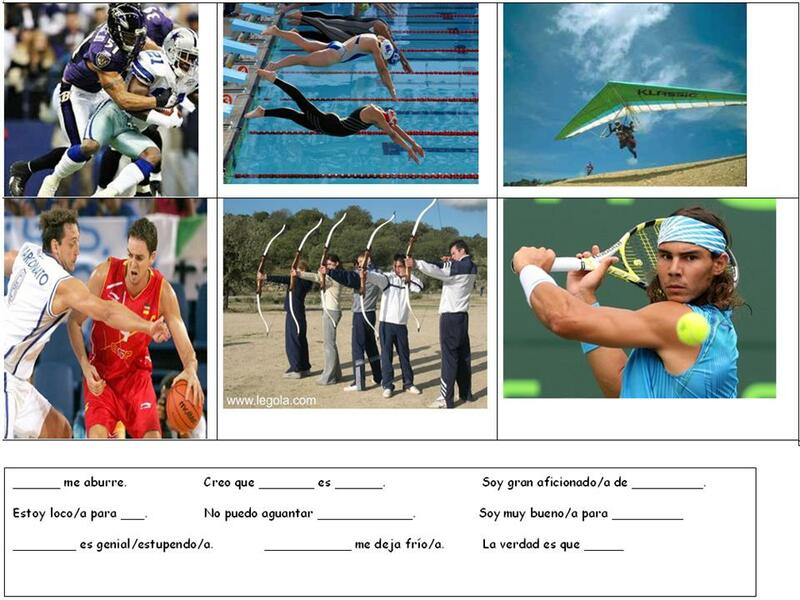 Pass the picture to another group; give them one minute to add more food to the new refrigerator before passing to another group. Repeat cycle. After several drawing opportunities, have students identify the food in the refrigerator orally with their group. After a time or two of the oral work, have students label the food in the refrigerator. Pictionary Divide class into two teams. Have each team choose an “artist” who will be drawing on the board. Give each team a few (2-3, depending on size of class) small whiteboards/markers. Show the two artists a vocabulary food word to draw on the board. The teams must write the food word on their whiteboard and hold it up for verification/point. I usually have the team have the same word written on all of their whiteboards; this keeps everyone involved. Food description Students work with a partner, each one has been given a picture of a food item. Without saying the word in Spanish, Partner A will describe the food item to Partner B, who must draw it. Class is divided into small groups. Teacher gives a category and gives the groups one minute to write as many words as possible that fit into the category. Have the group pass the paper to another group who will verify that the words all fit into the category and assign points. Class is divided into small groups. Teacher gives a category and gives the groups one minute to write as many words as possible that fit into the category. Teacher starts with one group who will read their words to the class slowly. If another group has the word, the word does not count. Groups receive points for the words they have that no other group has. Use the categories like playing Taboo. One member of the team sees the category and begins to list foods that fit in the category. Point(s) are awarded when their team can identify the category correctly. At this point, it may help to describe the physical setup of my classroom. I have my desks in two “u” formations, an inner “u” and an outer “u”, so that I can have partners behind/in front, to the left or to the right, and my personal favorite, the “moving u”, when the students in the outer “u” slide to the seat to the left every 30 seconds to 2 minutes so that there is always a new partner. While I think it is important for students to work with classmates with whom they are comfortable, I believe that it is equally important for them to work with everyone (or they would elect to work with the same people each time). The “moving u” assures me that weaker students work with stronger students, that girls work with boys and that friends do not become dependent on the stronger friend (language wise) to accomplish the work. With all of the oral communicative practice that my students do, I almost always have them changing partners frequently. Looking back at my lesson plans for this chapter (Chapter 10) from this past year, here are some of the activities that I used to get my students to talk. 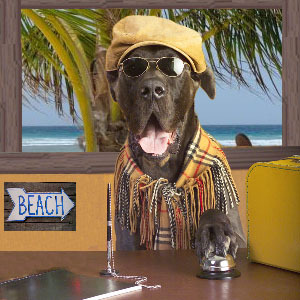 One of the first things that I had students do with a partner was to describe, in Spanish, what the typical tourist looks like. I then showed them some images of a turista and had them describe the tourist to their partner. After listing additional vocabulary on the board (some that were in the official list for the chapter and other words that were at student request), I had each student draw a tourist. The next day, they first described the their picture to a partner, then they described the picture of their partner (exchanging partners several times). 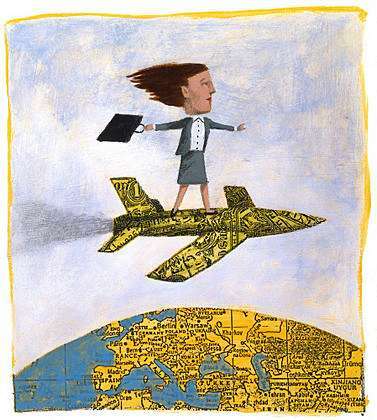 Since travel involves eating (Chapter 7) and clothes (Chapter 8), weather and places (Chapter 9), we did some review conversation with those topics as well as a preliminary conversation about travel desires: After working with a partner, I would take a volunteer to sit in the “Hot Seat” in front of the classroom and the class would then ask that one student questions related to that days conversation topic. I only allow 4 minutes for this and I keep track of each student who asks a question. 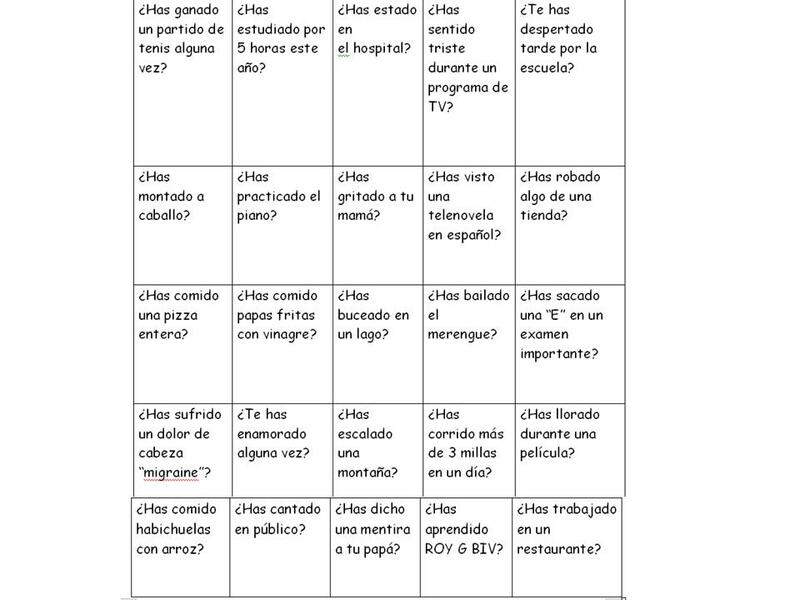 Participation points are given for this activity, with the person in the “Silla Caliente” always receiving an A (assuming that every effort has been made to answer the questions). After reviewing clothes, we also did a suitcase activity one day. In groups of four, I gave them a large piece of paper on which I had drawn an open suitcase. I gave each group a list of items (specific quantities, colors, etc) that had to be drawn in the suitcase. Each student was given two colors and they were responsible for drawing all of the items that were listed as their color. Students then had to talk about the items in the suitcase and say how/when each item would be used or would be necessary. A. Describe las palabras a tu compañero. ¡No hables inglés! Usa palabras de español y puedes hacer gestos (gestures). B. Describe las palabras a tu compañero. 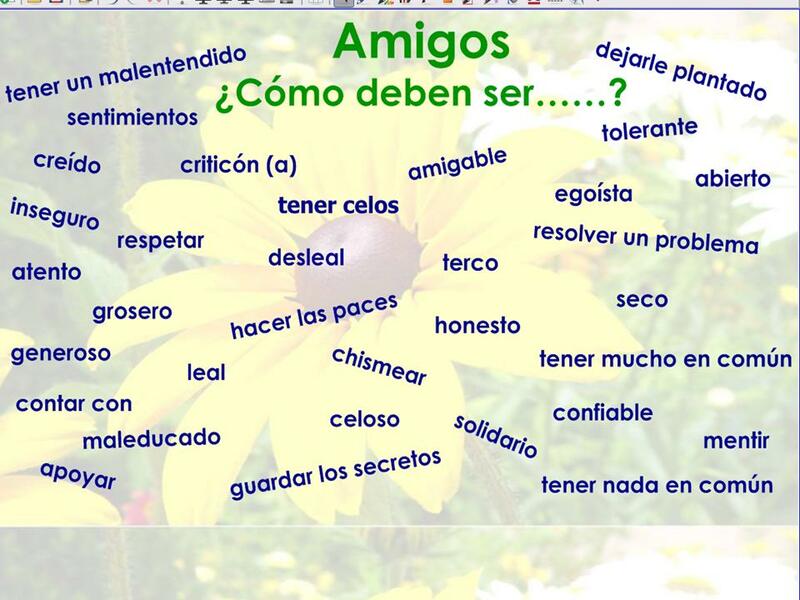 ¡No hables inglés! Usa palabras de español y puedes hacer gestos (gestures). While I’m not out of activities that I used in this chapter to get my students to talk, it has turned into a very lengthy post, and I’m going to end it here. I would welcome feedback…questions, suggestions, etc. A year and a half ago, in the span of less than two months, tragedy in the form of an earthquake struck both Haiti and Chile. This past spring, it was Japan. The world responded in many ways. For my classes, we followed the news with multiple videos and written accounts in Spanish. We also focused on the song “We are the World”. Students in 2010 were enamored of the song that was redone using big name celebrities of today: Usher, Kanye, Justin Bieber, Pink, and Celine Dion are just a few of the 81 who got together to record the song that Michael Jackson and Lionel Richie wrote in 1985. At just about the same time, I learned that Emilio y Gloria Estefan were also working on a version in Spanish, called “Somos el Mundo”. 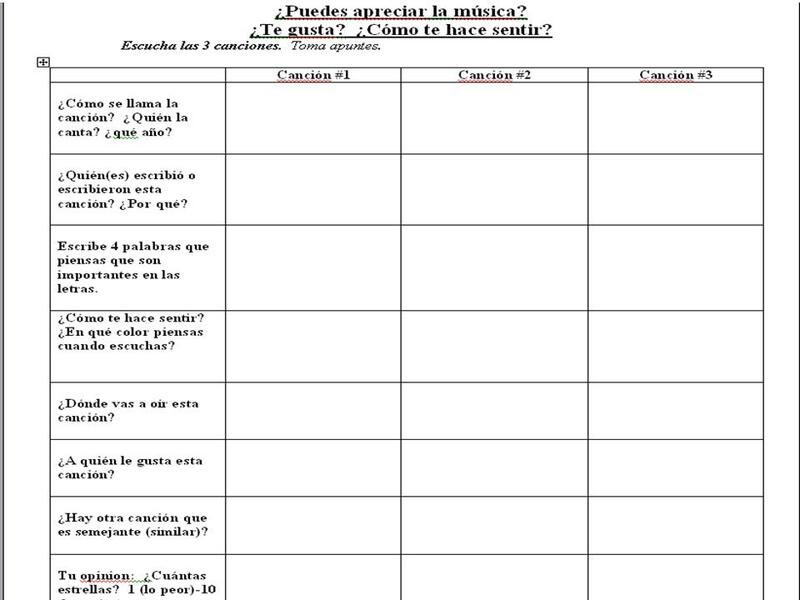 As soon as both the new English and the new Spanish versions were released, I had a new lesson plan, one that I expanded upon this year. I spent parts (never the entire period) of four classes using the various activities that I developed. We sang the Spanish song multiple times in class, as well as the newest English version. We discussed geography and culture of the countries affected. After several days of exposure to the videos, I had the students complete a comparison of the three versions. At this point in time, I already knew that they preferred the 1985 version to the 2010 version, and more than half of each of the Spanish III classes thought that the Spanish version was more inspirational and emotional. We are the world 3 song comparison The last activity that I had the students do was a reflection on the three versions. This was assigned as homework and collected a few days later. Las 3 versiones de We are the world Reaccion As I mentioned in an earlier post, a group of students chose to sing “Somos el Mundo” at the induction ceremony for our chapter of La Sociedad Honoraria Hispánica. Additionally, I had several students choose to work with this song for their performance assessment in the music/social awareness unit. 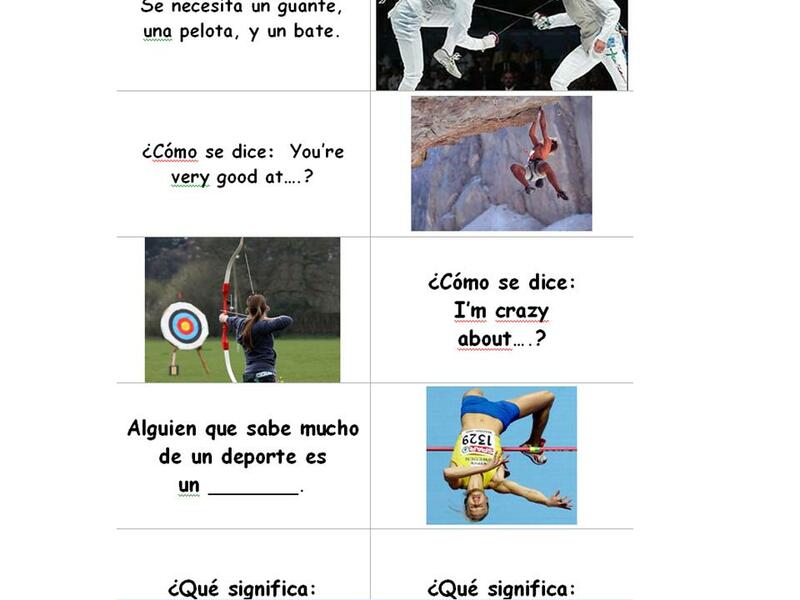 Through these activities students were exposed to very useful vocabulary, learned a great deal about various Spanish artists, and were able to make some relevant comparisons between English and Spanish. Lastly, the song “Somos el Mundo” became part of the iPod rotation for many of them, creating a lasting connection for them. 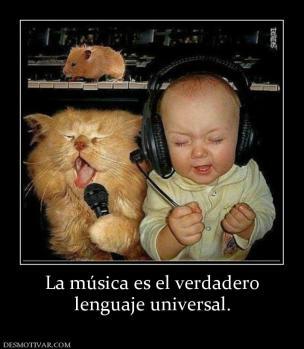 A video for toddlers, classical music, high school Spanish and the preterite and imperfect? Sometimes we tend to moan and groan about professional development and how it is worthless. We have been lucky in this county to have two dedicated supervisors (one from Salisbury University and one from the county) who have offered Saturday professional development workshops for language teachers once a month for several years. In one of these workshops, about 5 years ago, the designated topic was videos and how to use them. 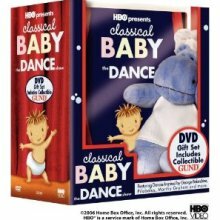 One of the many recommendations was the series developed by HBO called Classical Baby, which contains three videos, one for classical music, one for art and one for dance. 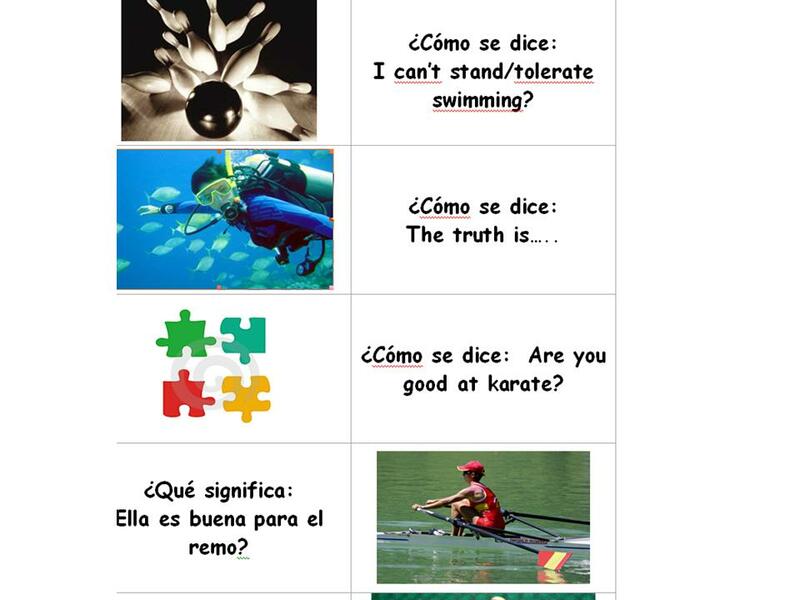 We (Spanish and French teachers) looked at several clips and brainstormed ways to use them. The clip that appealed to me the most was from Classical Baby Dance called The Hippo Dance. The music is Duke Ellington’s version of Tchaikovsky’s Dance of the Sugar Plum Fairy. Ellington’s version is called Sugar Rum Cherry. So, what, you might ask, does a high school teacher do with a video for toddlers? I found The Hippo Dance an excellent way to continue working with the Spanish preterite and imperfect, something that my students always need to continue practicing and reviewing. Despite what we may be working on at any point in time, I’m frequently injecting past tense review without calling it the past tense, or the preterite or the imperfect. Before I go through the steps that I use with the video I should say that my 50 minutes of class with my students always involves multiple activities, and I usually do not spend more than 10 minutes on any one thing. Therefore, my activities with The Hippo Dance take place over several days. We watch the video with no direction given from me (it is 2 minutes in length). They usually are enchanted….I don’t think that the word enchanted is too strong for their first reaction! 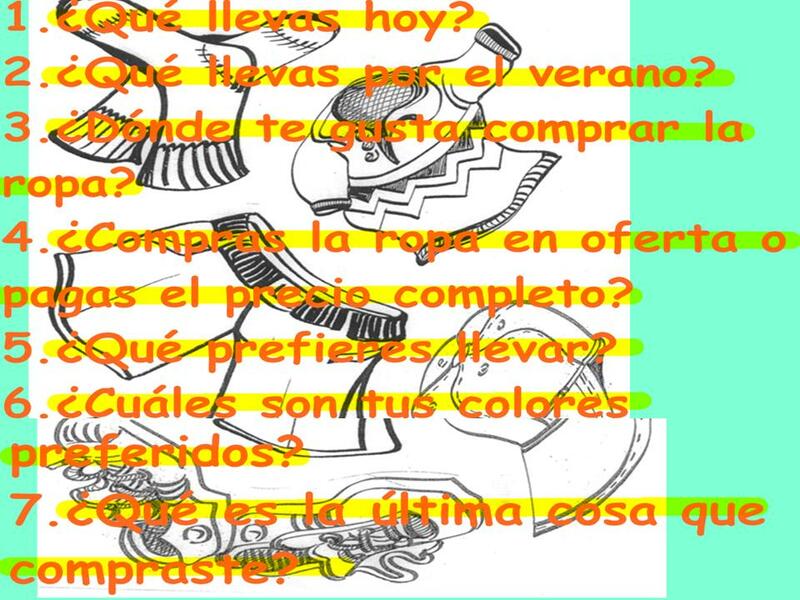 I ask them to list colors in the video, rooms of the house in the video, verbs that would apply to the video, etc. With their partners, they use this brainstorming activity to describe what happened in the video. As they request words that we haven’t had, such as “timer”, I write them on the board. At the end of a minute or two, I ask for volunteer sentences. After that, we move on to something else. 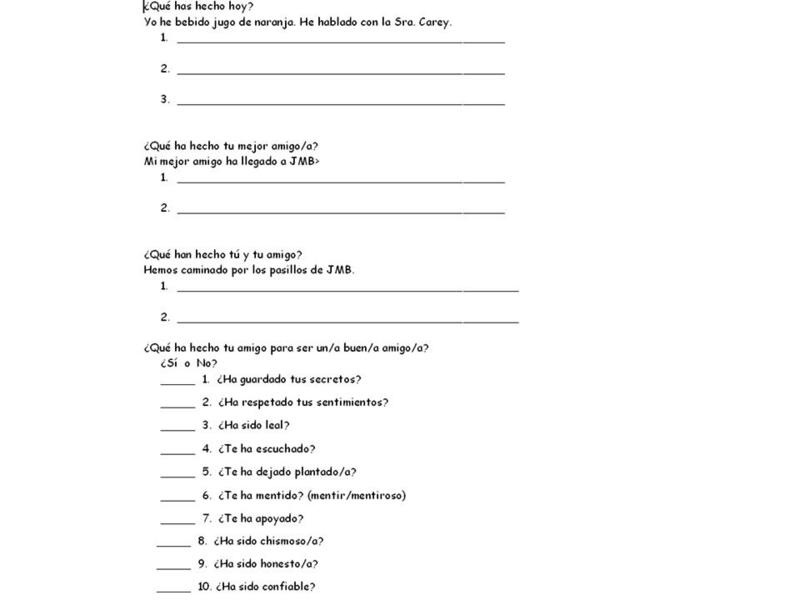 El Baile de los Hipos tarea This last assignment is an individual homework assignment that will receive a formal assessment. New for this upcoming year, I think that I will add another homework assignment after day two that will use audioboo, an excellent oral assessment tool. I will ask them to tell me the chores they had to do when they were younger, and what chores they did last week; so essentially I will be asking them to repeat what was the warm up activity with a partner from day two. Their recording should be between 30 – 60 seconds. I purchased the entire series, music, art and dance, and have used several of the videos. To give you an idea of what it sounds and looks like, I’ve embedded two videos: the audio is the first clip, the video is the second ( the second has no sound and The Hippo Dance begins at the 7:59 mark and ends at 10:00).